I was browsing the Kate Spade Saturday clothing section and it was love at first sight. What's fall fashion without some leather? I loveeee this black leather skirt. It's the perfect length, fit, and color. I'd wear this with just about any top and with or without tights. How do you feel about leather in the fall? Have you entered my Red Lobster giveaway yet? Loved the leather skirt, perfct for comming winters.. I love how flexible a leather skirt is. I have worn mine year round. The only thing I don't like about mine is sometimes it clings to my tights! I love that black leather skirt! You could dress it up or down plus it's great for fall! 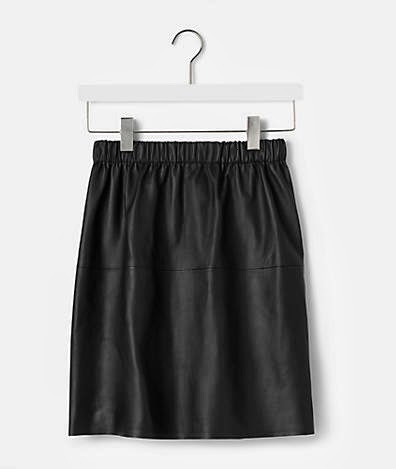 I've been looking for a cute leather skirt! Thank you! This one is adorable! I found another one recently at Anthropologie for $88 if that helps. :) Love both! Leather is HUGE even going into 2014! Get it! Great investment and you'll wear it well. Thanks for checking out my blog! I followed yours, I hope you'll follow mine!!! 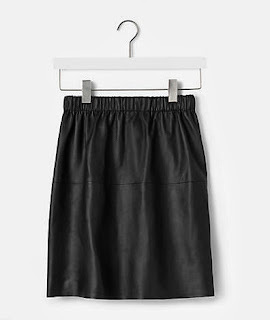 I love the leather skirt trend, how awesome that you found in on KS Saturdays, awesome deal and I cant wait to check it out! Ah that skirt is actually amazing. need need need.